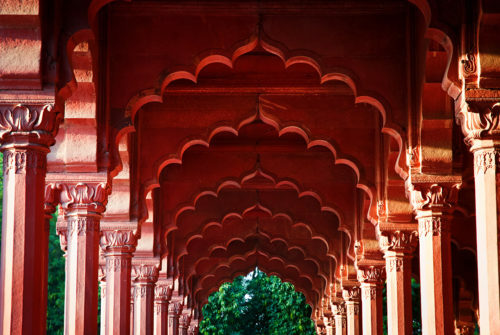 Begin your journey in the imperial city of Delhi with its multitude of forts and grand Lutyen's architecture. See the contrast as you move to the capital of Rajasthan and experience the more ancient mughul architecture of the bygone rulers. Reside at the newly renovated boutique SUJAN Rajmahal Palace with its lavish and colorful, contemporary interiors. On to Jodhpur where the mighty Mehrangarh Fort sits majestically over this historic city. Whilst here enjoy the antique bazaars and street markets, residing at the stylish Raas Haveli. 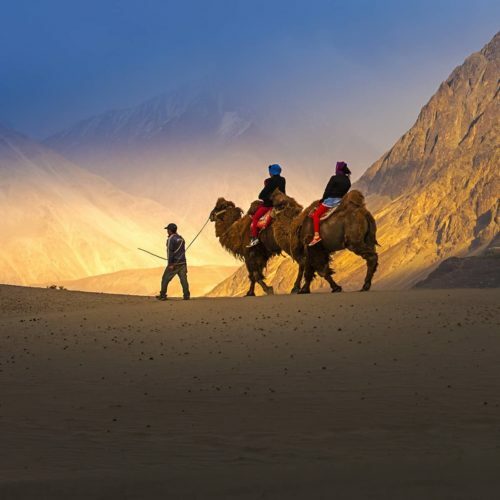 Journey further into the remote reaches of the region and see the worlds only living fortified city, rise out of the horizon like a giant sand castle at the unique city of Jaisalmer situated on the edge of the Thar Desert. The tour will then take you to the pretty Mihir Garh fort with its open fire places and magical little infinity pools. Finally go in search of the illusive leopard in the foothills of the Aravalli hill range staying at the grand JAWAI camp. End your stay with a night at the ethereal Raas Devigarh a magical palace on the outskirts of Udaipur. 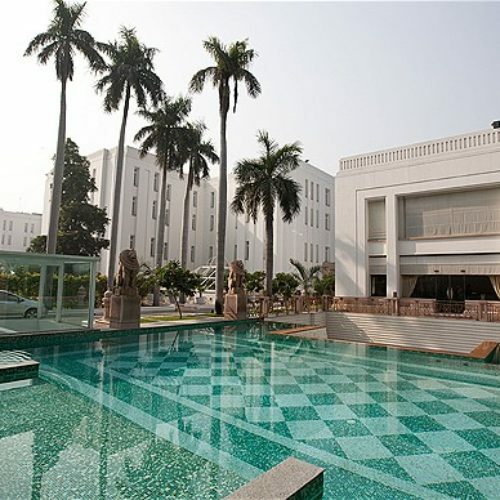 On arrival stay at the impressive Art Deco Imperial Hotel in the heart of Delhi. 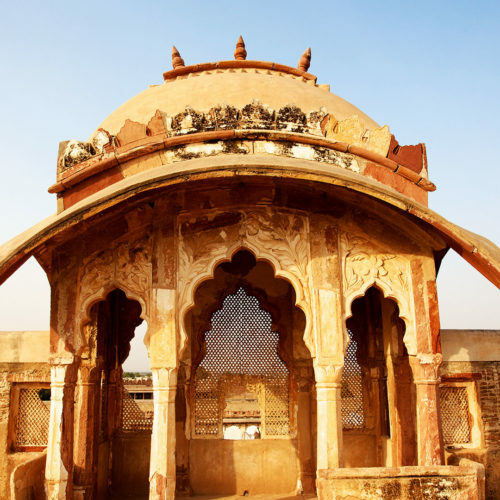 Explore the numerous sights of Old and New Delhi. The wide boulevards of Lutyens' New Delhi contrast dramatically with the narrow streets and scattered monuments that dominate Old Delhi. Morning drive to Jaipur and stay for 2 nights at the flamboyant SUJAN Rajmahal Palace Hotel. Afternoon at leisure. Morning drive past the Hawa Mahal (Palace of the Winds) and continue to Amber Fort. Ascend to this hilltop fort on elephant back. 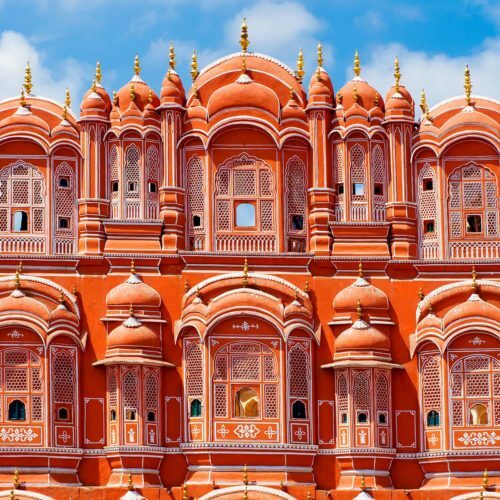 After lunch explore Jaipur, the capital of Rajasthan. See the City Palace and monumental Observatory. A morning drive will bring you to the regal city of Jodhpur, set in the stark landscape of India's Thar Desert. Here you will stay at the luxurious Raas, a rose tinted sandstone haveli offering spectacular views of the mighty Mehrangarh Fort. Morning visit the imposing Meherangarh Fort followed by a city tour of Jodhpur and Jaswant Thada. 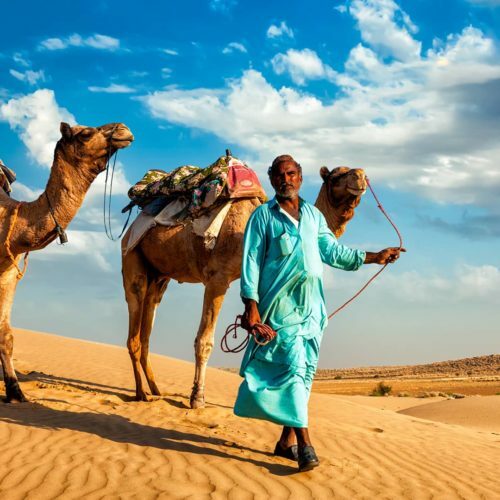 Later drive to the heart of the Thar Desert arriving at the fortified city of Jaisalmer and stay at The Serai, a lavish desert camp just outside the city. Morning sightseeing tour of Jaisalmer. Late afternoon take a camel ride to explore the Mulana Sand Dunes. 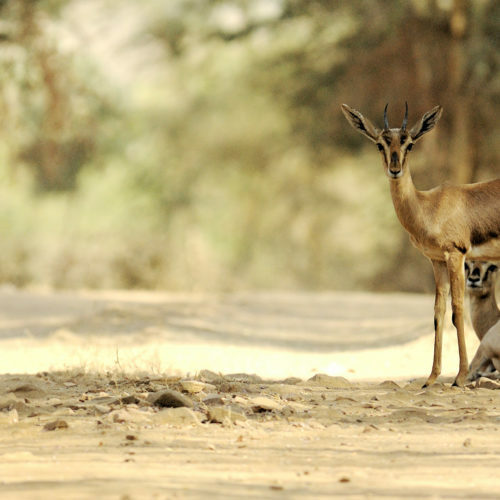 Transfer by road to your boutique hotel, Mihir Garh located in the desert wilderness for a 1 night stay. Mihir Garh, blends understated luxury with a rustic and sumptuous earthy elegance. Evening enjoy a village safari tour by jeep. Morning transfer by road to Jawai Leopard Camp, for a 2 night stay to enjoy an exclusive wildlife experience. Afternoon jeep safari in search of the mysterious Leopard. 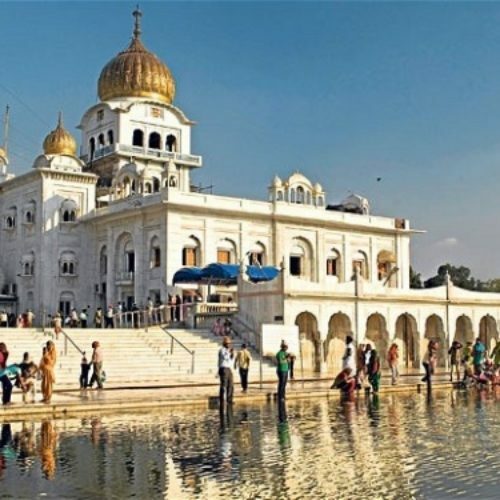 Morning transfer by road to Udaipur, on arrival enjoy a tour of this beautiful lake city and take in the Crystal Gallery at Fateh Prakash Palace. Later transfer to Delwara for your night stay at the magnificent Raas Devigarh Hotel. 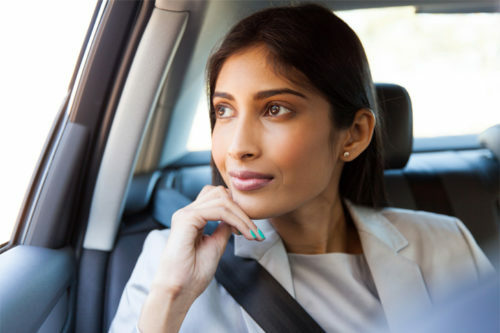 Early morning drive to Udaipur and fly to Mumbai to connect with your onward international flight.